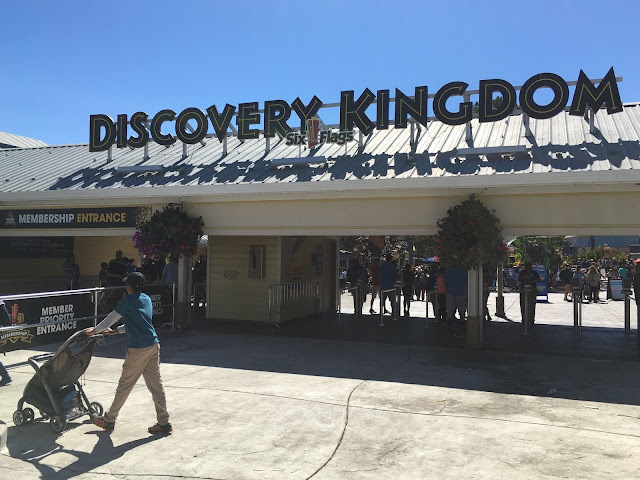 Today we head to our home base Six Flags Discovery Kingdom to check out Holiday in the Park 2016, the Wonder Woman: Lasso of Truth construction site, and more! Promo material for Wonder Woman: Lasso of Truth is on full display as guests pass through the entrance turnstiles! Christmas may be over, but all of the Holiday in the Park decorations have until January 1st before they go back into the storage bins. As for meet and greet opportunities, Mrs. Claus has a nice meeting spot for kids over in Seaside Junction. Moving onto the Wonder Woman: Lasso of Truth construction site...as you can see, the site is pretty dormant still. The new flat ride does not require extensive construction like a roller coaster does, so the park is simply taking their time with this one. Besides the stack of lumber and flattened plot of land, their is not much to see. This will be the entrance pathway to the ride when it opens, sandwiched in between Superman: Ultimate Flight and The Joker. 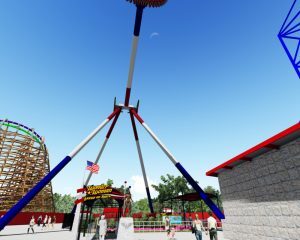 Even though the new pendulum attraction will be the fourth DC Comics themed attraction in this section of the park, their are no plans to re-theme the area to a DC Universe section (Commonly found at other Six Flags Parks). Elsewhere in the park, the Snow Hill was a big hit with guests! The line wrapped all the way around the hill, with wait times comparable to those of Medusa and The Joker! 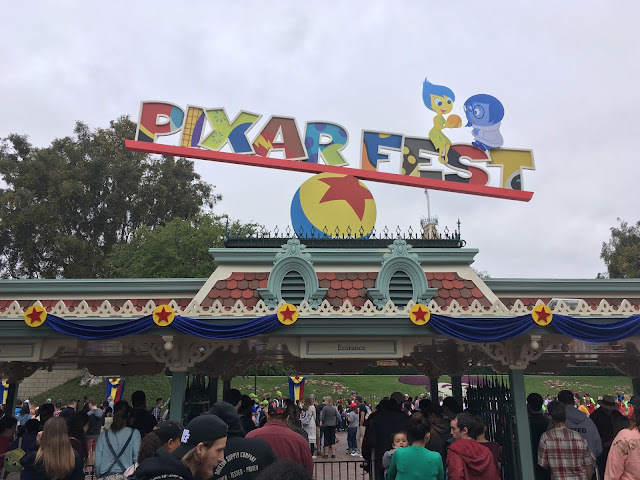 The Pacific Rim 4D film has been temporarily replaced with Arctic Adventure simulator ride in the IWerks theater during Holiday in the Park, and we had to ride! The film is old and carries a 90's vibe to it (complete with a cheesy pre-show montage). but it's still a unique offering away from the park's coasters. The actual movie centers around an ice block being flung off seemingly every twist, turn, and drop in the North Pole, and has some neat moments with forceful motion. If you happen to stroll by and spot a short line, go for it. The center tree looked stunning as always, and all of the additional lights from the Dazzle! light show presentation make the opening plaza very bright and inviting. The park did a good job of covering every rooftop in the plaza with lights! And just like that, Holiday in the Park 2016 winds to a close. 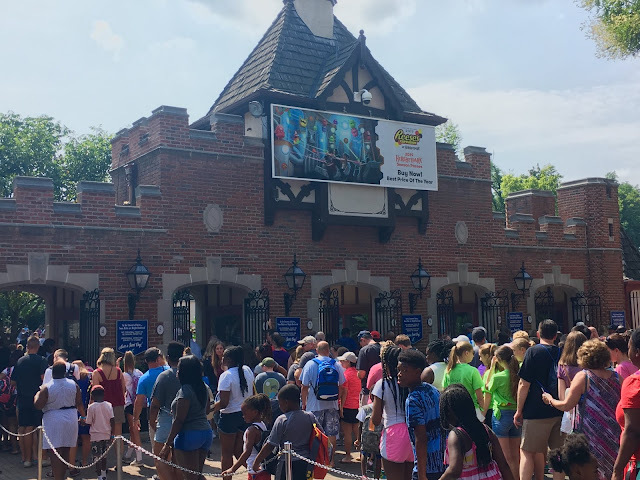 2016 was a solid year for Six Flags Discovery Kingdom This year brought us The Joker, new animal shows, the return of the IWerks 4D Theater, and much more. Here's to a great 2017 season! That's all for now from Theme Park Overload! Make sure to "Like" our Facebook Page to receive Breaking News Updates and Exclusive Content! Facebook.com/ThemeParkOverload My name's Nicholous, and Thanks for Reading!